eyewitness accounts of dying words leave no doubt about the cause of these horrible deaths: anguish over Chinese repression. Tibet has suffered spasms of violence at different points in its history since China took over in 1950 and the Dalai Lama, the spiritual leader of Tibetan Buddhists, fled the region in 1959. But the current wave of self-immolations is a new and tragic trend. Many Tibetans feel forcibly estranged from their language, culture and religion by repressive Chinese policies that have intensified since a wave of protests engulfed the region in 2008. 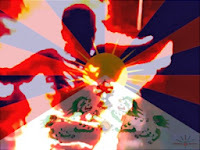 These policies include replacing the Tibetan language with Chinese as the language of instruction in schools; sending some 21,000 Chinese party officials into Tibetan monasteries to keep an eye on monks; forcing monks to denounce the Dalai Lama; banning the display of the Dalai Lama’s photograph; having a heavy armed police presence in Tibetan towns, villages and around monasteries; closing monasteries; and clamping down on demonstrators with arrests and shootings by police officers. China blames the Dalai Lama for the self-immolations. But the Dalai Lama has condemned them. In fact, many fear that unless preparations begin to ease Tibetans’ feelings of estrangement while the 78-year-old Dalai Lama is still alive, Tibetans may resort to more violent forms of protest when his tempering presence is gone. After President Xi Jinping assumed power last year, there was hope that China might retreat from its hardened stance toward Tibet. The sweeping reforms pledged recently during the Communist Party’s plenum meeting show his willingness to tackle domestic challenges. He should move now to ease some of the most damaging policies on Tibet. China also should resume negotiations with the Dalai Lama, which broke off in 2010. Without these steps, the Tibet Autonomous Region and the neighboring provinces of Sichuan, Qinghai and Gansu, where many Tibetans live, will remain troubled territory, unable to participate fully in China’s economic development. NOTE-- This editorial by New York Times Editorial Board was published on November 29, 2013.